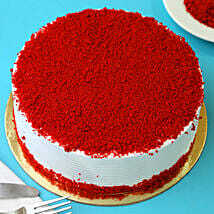 Red velvet cake delivery in Bhopal at your doorstep! Few calories down your stomach are not always bad and not at all bad if with those calories you are chugging down sweet memories that have got imprinted to your grey cells! You can easily place an order and send red velvet cakes to Bhopal by just a few clicks on our online site. 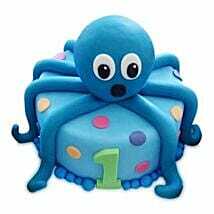 We provide you with the best range of cakes that have awesome taste and awesome design. They are worth eating during a grand celebration. You can send flowers to Bhopal to your friends or soulmate. With the aid of our well-established logistic department, we check the delivery process very carefully to avoid any mistakes on our part. So all get prepared to bring joy to the occasion. 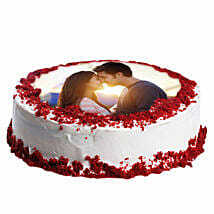 Send online red velvet cake to Bhopal to your friends in a wink! Delivery on time is our duty and we do it pretty much nicely. You can have total faith in our team and our services. The delivery men are always on their toes to deliver to you your cake on time so that your planned surprise does not get washed down by bad services that ick everyone and especially the one who has placed the order on site, vying on the online company. Have faith on us and send red velvet cakes to Bhopal to your special ones. The taste factor of our cakes can be easily batted on as the cakes are made by expert hands who have an experience of a long period of time. To add icing on top of the cake, figuratively, we also provide you the opportunity to send unique and beautiful gifts to Bhopal to your loved ones. Hurry up, we have offers waiting for you!